Our Datainsure financial processing services will integrate your preferred point of sale (POS) seamlessly with your current merchant Quickbooks® account. Using transaction-processing software that doesn’t integrate into Quickbooks® can complicate day-to-day operations. 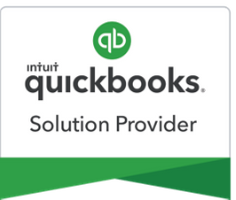 Our secure and compliant point-of-sale merchant services can be used with your current Quickbooks® customer database, allowing you to cut down on your processing costs and accounting times. Datainsure can help you optimize your transaction processing with our easy-to-use tools and expert customer service. Accept all payment methods, operate your business from a desktop computer or mobile device, and rest easy knowing your financial operations are fully compliant and your data secured. Enhance your processing with our Quickbooks® POS Upgrade Promotion. If you are currently operating on an older version of Quickbooks®, our team will upgrade your software to the latest edition for free with a contract fulfillment.